Have you ever noticed a spike in your traffic only to find, on investigation, that it’s all referral spam? It’s a frustrating problem for SEOs and webmasters and something that many believe Google should address. There are rumours that Google are aware of the issue and are currently working on a solution. However, the search giant is never forthcoming about problems it’s working on until it’s clear that a solution has been found, so we will have to wait and see. SpamScape – a crowd-sourced offering which isn’t finished yet, it will auto-generate filtered results. Analytics Spam Blocker – a WordPress plugin that redirects spam bots to stop them reaching your site and thus affecting your analytics data. We don’t all have WordPress sites though and the plugin might not be compatible with all installations. With that in mind, what else can you do to remove referral spam from Analytics? In order to better understand, let’s first have a look at what referral spam is and what it does. A referrer is a URL that is passed along when the browser goes from one page to another through a HTTP header and generally is used to indicate where the traffic is coming from. However, this can be changed and spammers often do this to promote a certain page. Once they have changed the header, they can then go ahead and make repeated requests and this means that the URL will be visible in analytics reports. This can be done manually, but usually an automated script is used – or a bot – and this is known as referral spam. Spam bots can also create fake accounts and spam emails, as well as bypass CAPTCHAs and they tend to attempt to hide themselves by pretending to be from a legitimate site or to be a common web browser. Spam bots crawl 100s of 1000s of sites each day and send HTTP request to sites with fake referrer headers. This contains the URL that the spammer wishes to promote or build backlinks to. If your site receives a HTTP request from a spam bot, then it’s recorded in the server log. Google then uses this information for your Analytics report and to rank your site. As the spammers don’t physically visit your site, the action registers as a session with a 100% bounce rate and 0 second duration. Last year, Google introduced a new filter in Analytics to filter out known bots and spiders, but this isn’t proving to be an effective measure as many people are still reporting it to be a big problem. You should also be aware of what’s known as ‘ghost referral traffic’ which is also referral spam only it never actually visits a site. The way that HTTP requests are handled by Google Analytics means that it’s simple for a spammer to ‘spoof’ a session. This is again generated by sending fake HTTP requests and it can be aimed at different Google Analytics properties. This means that the traffic doesn’t hit the site, but does affect Analytics to spoof organic search results and send false events. Ghost referrals are then different to bots and whilst the latter can be stopped by editing the .htaccess file, the former cannot. Clearly the biggest problem with this type of spam is that it makes the job of the SEO that much more difficult. Google Analytics data is skewed which in turn gives false results for engagement and traffic volume. Further to this, since referral spam aims to get links from the sites that publish access logs, this can improve on search results for the URL that they want to promote. So it’s a black hat SEO tactic employed by those who practice nefarious techniques. Referral spam can also be used to harm competitor sites as it can’t be authenticated and tracked back to the source. This means that a spammer could send lots of unwanted traffic to a target site in order to either harm the site or to position it as a spam referrer. It’s not a good idea either for you to attempt to track referral spam back to the source, as referral sites can contain malware. So referral spam is bad news all round. For marketers it’s a frustrating problem that makes it difficult to fully understand the traffic arriving at a site. As a tactic, it’s not maliciously attacking your site but the search engine. Last year saw a large-scale referral spam campaign undertaken by a service called Semalt (which you may have seen show up in your Analytics). This widespread and aggressive campaign used bots and the company in question received a lot of negative online attention due to its habit of ignoring robots.txt directives. If this is a service that you’ve signed up for, it seems that if you attempt to remove your site from the crawling list, then it’s likely that you’ll be flooded with unwanted requests, Incapsula say. With this in mind, if you have signed up thinking it was a legitimate service, then it’s better to leave your details there for the time being. There’s now evidence to suggest that Semalt uses a botnet to generate bot traffic and it’s thought that this has already infected 1000s of computers in order to create a large botnet which has in turn been incorporated into its referral spam activity and other malicious activities. Since this information is available and widely substantiated, then Semalt surely can’t last too much longer. 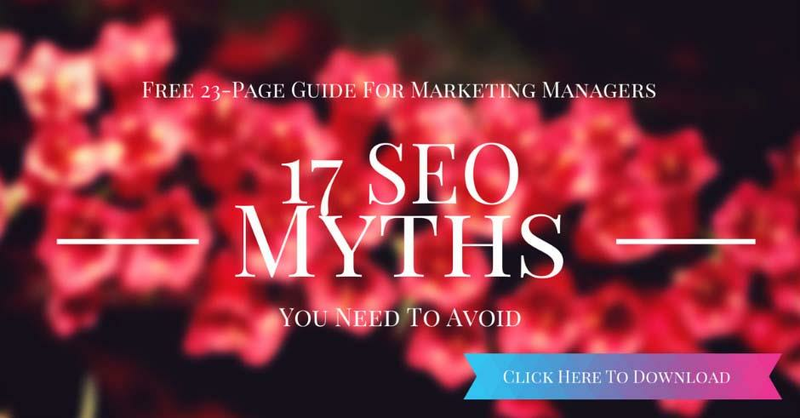 In the meantime however, you should take care when signing up to SEO services that sound too good to be true as they doubtless are. Referral spam can get out of hand if your site is not properly configured and contains vulnerabilities. Every malicious web program or attacker usually takes the path of least resistance and so they attack the weakest sites first. With this in mind, you should ensure that all server and site software – including plugins – are updated regularly and you keep an eye out for known exploits. You’re also likely to be “assaulted by spam bots” if your site is running large scale affiliate marketing campaigns and for this reason, you should be careful about who you affiliate with. Check out this article on finding and fixing malware on WordPress for further information. In part two, we take a look at the nuts and bolts of removing referral spam from Google Analytics. This entry was posted in SEO, Web Analyst and tagged spam. Thanks for the article, Kerry. I have wordpress/woocommerce store and I will install the Analytics Spam Blocker wordpress plugin. I use Akismet though to block spam comments.